I don’t see veganism as a diet. If we don’t have time to be sick, we have to make time to be healthy. Day 27 is about weight loss and its relationship to veganism. While it is not a topic I am particularly interested in, I get that it is important. Personally, I am overweight and should pay my weight more attention. Yet, I have lost on a mostly wholefood plant-based diet without even really trying; no idea how much, but I did have to buy new pants for work that were a couple of sizes smaller, because the trousers I had were starting to look clownish – not the professional look I am going for! Colleen emphasises on Day 27 that going vegan does not in and of itself mean anything in relation to weight loss. As she points out, there are “a million ways to be vegan”. It still matters what you eat and how much you exercise. Choose to get your fat and calories from wholefood nutrient rich sources rather than high calorie nutrient ’empty’ ones. The reason people like myself lose weight on a (mostly) wholefood, plant-based diet is because we are now eating less fat or fewer calories, For the most part we eat a lot more vegetables and whole grains which just happen to have fewer calories than things like cheese, eggs, meat etc. However, if a plant-based diet is high in fat from nuts, avocados, oil, deep-fried or calorie dense processed food don’t expect to be lean. 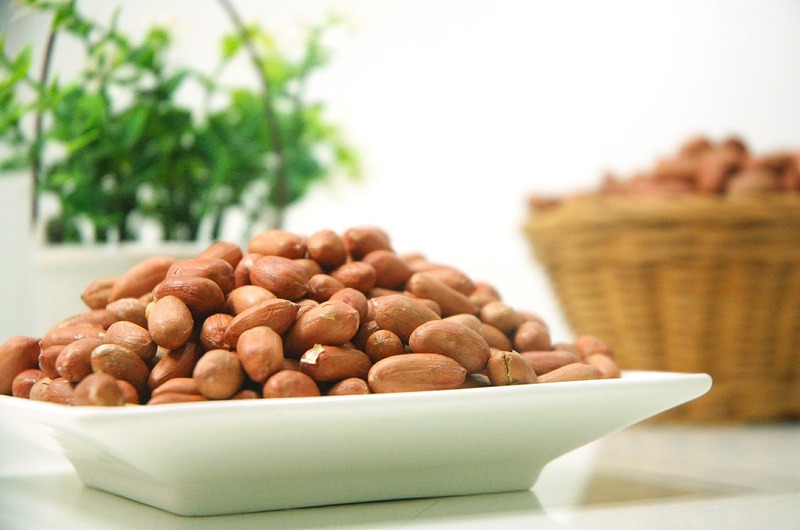 While it is infinity better to get your calories from nuts rather than deep-fried chips from a nutrient point-of-view, if you are playing the numbers game, calories are still calories. Colleen’s advice, which I agree with, is to get your calories from the best nutrition rich roods you can. Plants have more nutrients and fibre than commercial potato chips, plus they also come with additives and the types of fats that cause damage. As well, you usually have to eat a lot more of some foods to get the same number of calories. For example, 100 grams of avocado has 160 calories, 10 grams of fat and 6 grams of fibre. Meanwhile, 100 grams of salted potato chips has 542 calories, 36 grams of fat and 4.4 grams of fibre. Your average avocado weights about 170 grams, and your average bags of chips is around 150 grams. Day 27 also reminds me that I really do need to get more physical activity into my day. I am very sedentary, so in my off hours I should be out there getting some exercise. A sedentary lifestyle like mine is not a good long-term health plan, no matter how great my diet is. Fibre exists only in plants. There is no fibre in meat, dairy or eggs. Zero. Zilch. Zip. If you are eating a wholefood, plant-based diet you are probably eating around the recommended daily intake of fibre (about 30 grams) or more. I think there is nobody who disagrees that a fibre rich diet is essential for long term good health, yet surprisingly few people appear to get even the recommended daily amount. 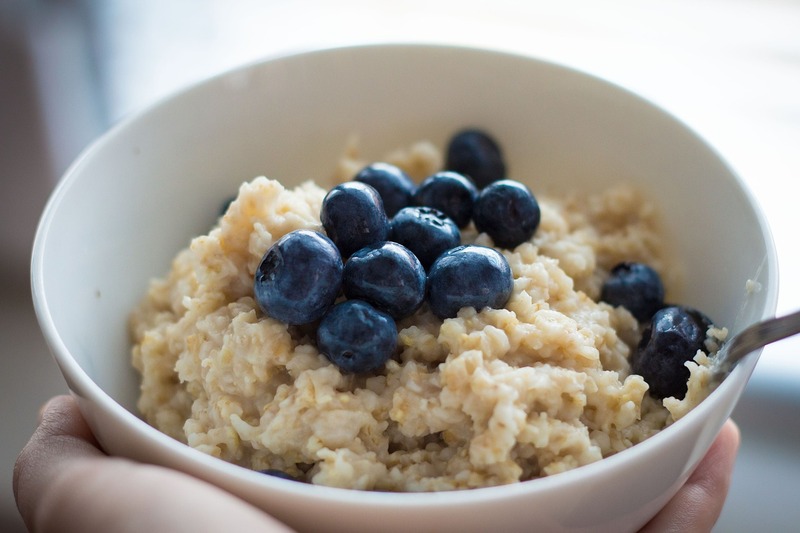 Oatmeal and blueberries are high in soluble fibre. 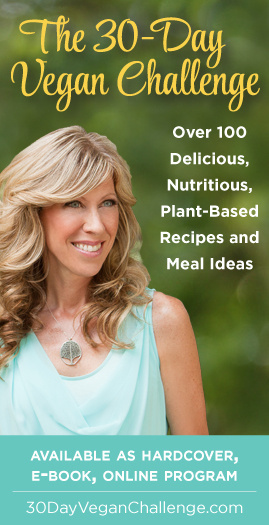 I have definitely noticed a difference since moving to a completely plant-based diet. And that is all I am going to say about it. My grandmother would be relieved to know that at least some of her pointless Victorian-era etiquette lecturing on lady-like behaviour somehow managed to stick. Dr Greger has a lot to say about how essential it is to get enough B12. The good doctor is such an enthusiastic cheerleader for the plant-based lifestyle that when he starts talking about a potential problem with the diet it is worth taking notes. Colleen is equally serious about the need to supplement with B12. What is B12, why does it matter, how much do we need, and where does it come from? For years it nagged away at the back of my mind; I really should learn to like milk because I probably needed more calcium. It wasn’t healthy not to drink milk. As a child, I didn’t like milk. I loved cheese. I loved butter and cream. I just didn’t like milk, not even when you loaded it up with strawberry flavoured sugar. And in this milk guzzling country, I was an anomaly. Milk guzzling nation. 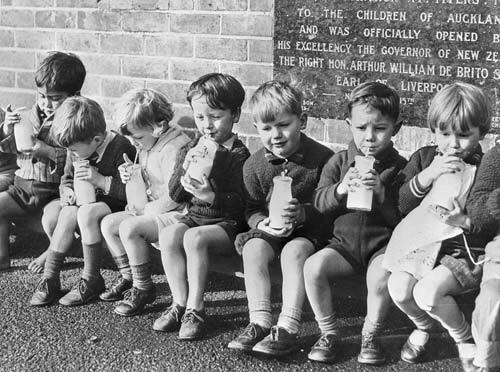 Milk was seen as so essential to good nutrition we used to hand it out free to children for three decades. Fortunately, the programme was discontinued the year I was born. Several years ago when I smashed up my shoulder after a fall, the doctor was concerned I might have fragile bones because the extent of the shattering seemed way out of proportion to the accident (I fell over trying to speed walk – I know, don’t ask!!). I went for a bone scan. It was all good, but even then the specialist asked me about calcium intake and suggested I consume more milk. “Intentions create a framework of awareness, a motivation for why and how you want to approach something.They’re more about the process than the end result. This chapter has a series of questions for the reader to answer before diving into the challenge. I reflect on each of these questions: before I started the vegan journey, my experience during the first six months, and how I would answer the question now. For this chapter, I am supposed to get myself to a doctor. They are supposed to check my numbers for the objectives listed (above). Then, at the end of the 30 Day Challenge I get them checked again and compare the two sets of numbers. It’s a great idea, but it’s not going to happen this month. I had a full blood work done a few months ago. Knowing that I was about to embark, despite dubious looks from the doctor’s chair, into veganism my B 12 was also checked – apparently normal. I don’t know what my numbers are, but I’m sure they are in my medical records. In about six months I will probably go back for a check up and take the list with me. This time I will actually ask for my results to be sent. I always appreciate that my doctor takes the time to call and gives me the highlights, but it means that I never have the hard numbers to hand. Tofu and broccoli both great sources of iron. 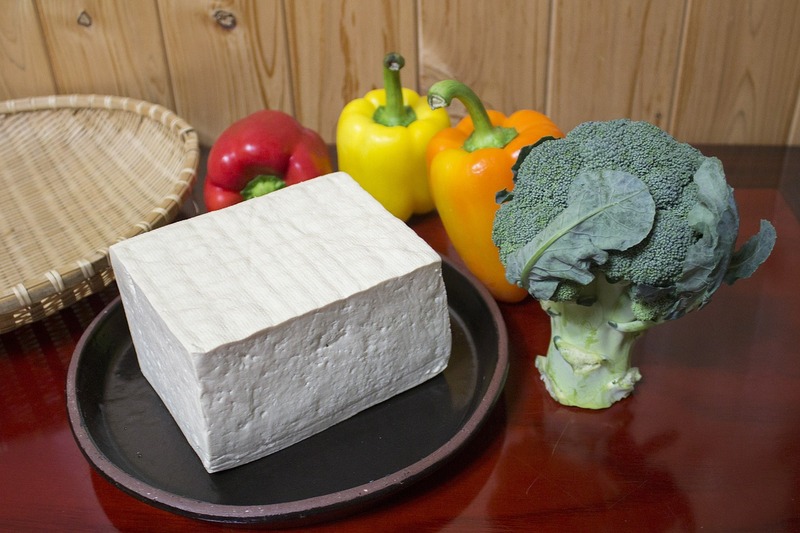 A cup of firm tofu has about 4.2 mg (23%) and a cup of cooked broccoli 1 mg (5%). Broccoli also has a good dollop of vitamin C (101 mg) necessary for iron absorption. At the time of the blood work, I still had anaemia. So, my highly dubious doctor mailed me an iron tablet prescription that I didn’t fill because I still had plenty left over from my lackadaisical last course. I have been (sort of) tracking my iron intake on Cronometer and most days are getting between 60-80% of the RDA. I also understand iron absorption a bit better now and feel okay. My body weight is terrible. I don’t need hard numbers to know that. Although, I have definitely lost weight since going vegan; no idea how much. Diabetes is in my family, so that is something I worry about. I do get that checked and so far appear to have dogged that particular bullet. Next time I will at least do the fasting test,if not the tolerance test. If for no other reason than to get a full set of numbers.